Who can be a member of Impact Las Vegas? Impact Las Vegas Is open to all women who wish to make an impact on our Southern Nevada community by making an annual membership donation of $1,000. How do I become a member of Impact Las Vegas? By filling out a Membership Commitment form and paying the annual membership donation of $1,000 no later than December 31st each year. Normally membership recruitment occurs during the first half of our July-June fiscal year, and the grant selection process occurs in the second half (January through June), culminating in the June annual meeting where members vote for the grant recipient. The number of women who have pledged and paid $1,000 by December 31st determines if a grant will be awarded that fiscal year and/or if more than one will be awarded. Shared Memberships and Group Memberships are also permitted. Contact info@impact-lv.org for more information. How do I pay my membership donation? May I pay my $1,000 over time or by credit card? Membership donations may be made as a lump sum via check or paid by credit card online, but please note there is an additional charge to cover the credit card processing fee. You may pay one $1,000 payment, or installments such as monthly payments, two $500 payments, or four $250 payments. Your voting rights are effective when the entire $1,000 membership donation is received. You may participate on volunteer committees after committing to Membership, such as on Grant Review Committees or Membership Committees, but the total $1,000 payment must be received by December 31st each year to vote for our grant award recipient the following June. I would like to give more than $1,000. Do I get more than one vote? No. Every member has only one vote even if they contribute more than $1,000. Any amount given over $1,000 is considered an operating donation to offset administrative costs. If more money is received than is needed to cover administrative costs, the Board of Directors has the discretionary power to add that money to the grant funds. All that is required is that you be a women and donate $1,000 to be a member. We encourage you to make an informed decision when you vote for a grant recipient, either in person at the June Annual Meeting or by absentee ballot. That is all that is required of a member. However, we hope you will also choose to participate and volunteer to be on a committee such as on a focus area grant review committee to evaluate and select a grant finalist for presentation to the entire membership at our Annual Meeting or be a part of our membership committee. Our members are our sales force. Current members host membership events with friends, family and professional colleagues and share the mission, vision and story of Impact Las Vegas. 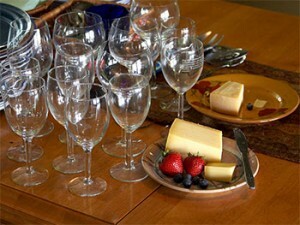 These membership events are informal coffees, teas, or wine socials usually held in a member’s home. Each new member is encouraged to attend, hold, host or underwrite a membership event. How long is my membership in Impact Las Vegas? Each $1,000 membership donation provides membership for the current year’s grant making cycle (July through June). Members may continue from year-to-year as long as their annual membership donations are received by December 31st of that year. Can men participate in Impact Las Vegas? Absolutely! Although Membership is limited to women, men can participate as a Friend of Impact Las Vegas by making an operating donation, sponsoring a Membership, and/or by encouraging the women in their lives to participate as Members. Why is the required membership donation set at $1,000? We believe that this amount ensures member commitment and it also keeps the costs of fundraising low. One of the challenges in the nonprofit sector today is the high cost of fundraising. To raise large amounts through individual donations of $100 each would mean recruiting a large number of members. It costs more to recruit 1,000 people than it does 100. These higher costs would mean less money for the people who need it most — our grant recipients and the people they serve. What if I can’t make a donation of $1,000, is there still a role for me? Yes, a very important one. You can be a Friend of Impact Las Vegas and your donation will be an operating donation to support administrative expenses as such as a financial audit cost, insurance, design and maintenance of the website, mailings, required state and federal filing costs, etc. Or you may combine with friends, family members or colleagues and form a Group Membership. Can I make an in-kind donation of services or products to cover my $1,000 membership donation or if my company matches funds for charitable donations, can I use that to pay half of my membership donation? 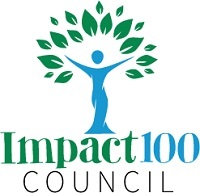 Impact Las Vegas welcomes donations of services and/or products; however, such donations are considered operating donations and cannot be used to cover the $1,000 membership donation. If your company has a matching gift program, it may be used to off-set the cost for membership or as an additional unrestricted operating donation. We do receive and appreciate matching funds from employers. If we receive more money than we need to cover our administrative costs, our board of directors has the discretionary power to add that money to the grant funds.